It is wordy, but that is what the man Matsui-San dubbed the custom exhaust that PowerHouse Amuse built for me. Yeah. I am okay with that. I received word earlier in the week that my exhaust was Stateside. As I mentioned in an earlier post (Project Z33: Amuse Exhaust Update) describing the conceptualizing, design, and construction of this exhaust, my desire was a custom system that was not quite as flashy as my previous custom quad set-up for the G, but something that worked well with my Type E aero and still had that Amuse flare. This system looks to be something that will look rather subtle from afar, but really pop up close. To someone who knows no better, they may not look twice at it. However, for someone who knows anything about Amuse, I think this exhaust will have that "WOW factor" and be recognized as something a bit more than an "off-the-shelf" Amuse system. Needless to say, I am looking forward to seeing it up close and personal. Here is a little blurb from my friend Bo of Bulletproof Automotive, the man responsible for helping me procure this piece of automotive art. Throughout the years here at Bulletproof Automotive, we encounter a few special people looking to do a very special build. They come to us requesting some super awesome, rare, one of a kind, JDM parts to really set their build apart. They know the value of premium, quality, authentic JDM parts and realize those are the only parts worthy of their builds. This exhaust is definitely one of those incredible pieces that we receive from time to time and we were absolutely blown away when we saw it. 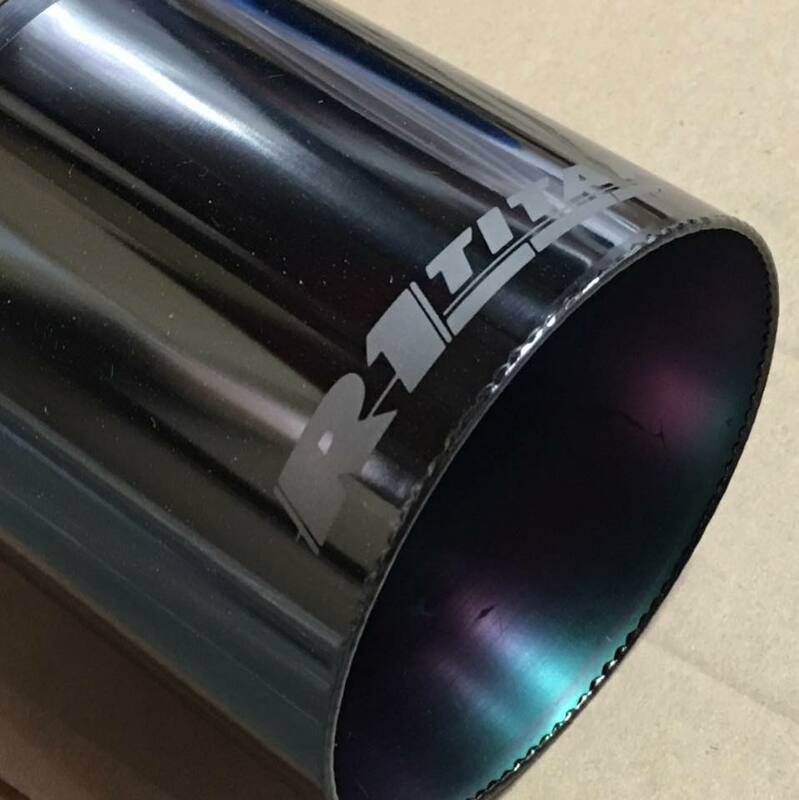 Our longtime good friend and client contacted us asking for a one of a kind exhaust for his amazing Z33 350Z build. Being a longtime Amuse super-fan, Bill asked us to have Amuse make him a special, custom exhaust system that would suit his upcoming build. We went directly to the owner of Amuse and gave him the specs of what our client wanted and he went to work. I introduce to you the PowerHouse Amuse R1 Black Titan Superleggera Custom. Specially customized by the president of Amuse with his own two hands. This exhaust not only has the special Limited Edition Black Titan finished tips, our client and longtime friend requested to have the ultra rare R1 Titan logo to be laser etched horizontally to the tips. Having an etched logo is rare to begin with but to have the special placement of that logo on the top of the exhaust tip is something really special and took quite a bit longer to accomplish. Luckily our friend is incredibly patient. All that out of the way, enjoy some of the quick snaps I received of the exhaust. I apologize for the lack of posts lately. I have not really had a chance to blog much lately. It is safe to say that I am not a huge car show guy. I enjoy them to an extent, but I am certainly not a diehard. I have been to a handful of car shows in the past 15 years. About 2 weeks ago, however, my friends at Pro-Spec Autosport reached out to me and asked if they could use the FJ in their booth at the Import Evolution show that weekend. Though I wish I had a little more notice as I would have liked to do a few things to the truck beforehand (and I tried), I was happy to lend it to them for the show. I left the truck with my good friend Brian on Wednesday evening so they could clean it up in time for roll-in on Friday morning and I picked it up the following Tuesday. I took a ride in to the city on Saturday afternoon to check out the show. As I mentioned, it has been a while since I have attended a show of this nature, but, in some ways, it felt as though I had not missed a beat and stepped back into the 90's when I entered the World Trade Center in the Seaport of Boston. There were some very nice projects on display, but I venture to say that there were far more cars to which I could only internally face-palm. Though not my ambition in a build, I can certainly respect the work that a true "show car build" demands. I can appreciate the time, work, money, and dedication devoted to a quality build. There were a few of those this weekend. What I cannot and will not ever fully understand is corner-cutting. There was quite a bit of that. Attending and participating in car shows is an effort. It is a hobby that requires dedication and a substantial amount of time and I am not even talking about the car itself. I am talking about the traveling - many people attend shows from different states, taking time off from work and planning to travel for a day or more just to reach the destination of the event. Many people stay in hotels and plan their weeks or weekends around car shows. Then there is the show itself. Roll-in is usually the day or night before. Then the day or two or three days of the show. Hours upon hours of walking around or sitting around during the show. Needless to say, it takes a devoted person. I suppose it just does not seem logical to me, if one's aspiration is to participate in car shows or display their project, their pride and joy, and undertake and endure these efforts and these sacrifices to expose their projects to the general public, to willingly open it up to discerning eyes (and criticism), that one would then cut corners. If you are reading this post, you are probably looking for some pictures from the show. My approach to the show was to walk around once and not take any pictures and then a second time and snap a couple shots with my phone. Fake wheels and fake aero galore. So much funk faked. I do not like to feature cars on this blog that I know are rocking fake parts. I believe that is the reason I am not just posting my mediocre coverage of this event and instead am sharing my thoughts on car shows in general - because, sadly, I would have roughly four pictures to share if I stuck with authentic-only builds. This show got me thinking and, thus, I suppose, inspired this post. I know people use the budget logic as an excuse for corner-cutting. "Not everyone can afford real wheels or real aero," as well as the "I build my car for me. I don't care what you think" rationale. Frankly, I do not buy it. 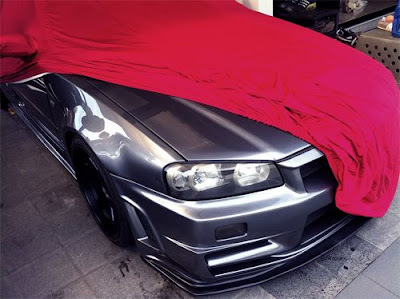 The amount of money devoted to showing cars and enjoying this hobby and building something you call your pride and joy, why not hold off on those Rotas, Varrstoens, or Shine or Outcast Garage or No-Name body kit for a few more weeks and support the originator? Despite what you would like people to believe, it is possible. As for not caring what anyone thinks because you build your car for you… Keep telling us that while you plaster pictures of it all over the internet and display it at shows. Call me a hater. Unlike the page because you do not like my tone or your feelings are hurt. Bluntly, I was just a bit underwhelmed with what I saw. I expected more. Do not get me wrong, there were some great builds there, but there were far more cringe-worthy cars on display. As I mentioned, fake wheels and aero all over the place. Fake Bride seats. There were a couple cars with decals displaying brands of parts that were nowhere to be found on the car! No joke. At one point I walked by a widebody FRS with a swan neck Voltex wing (real thing seen here on Jason Hoang's of LifewithJson FRS) and I remarked to my buddy who has some knowledge about this particular car as he has done some work on it, "I like the Voltex wing," to which he turned and whispered to me, "It's not real." It is what it is. I know my disapproval and ranting is not going to change many minds or convince many people to forego their corner-cutting tendencies and build a legitimate car with authentic, original parts, but why not give it a shot? Again, not necessarily my cup of tea, but the work of this interior was legit!